Subscribe Now to Unlock Our Best Hidden Offers! 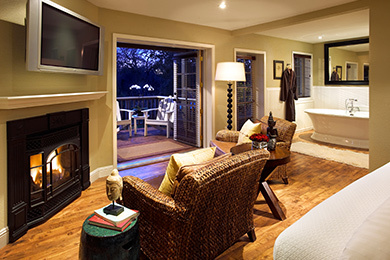 Hidden away on three verdant acres overlooking the idyllic Napa River, Milliken Creek Inn & Spa offers five-star luxury with sophisticated service and style in a tranquil, intimate ambiance. In this superb Napa Valley setting, simply sumptuous accommodations are bathed in serene colors and accented with eye-catching attention to detail. 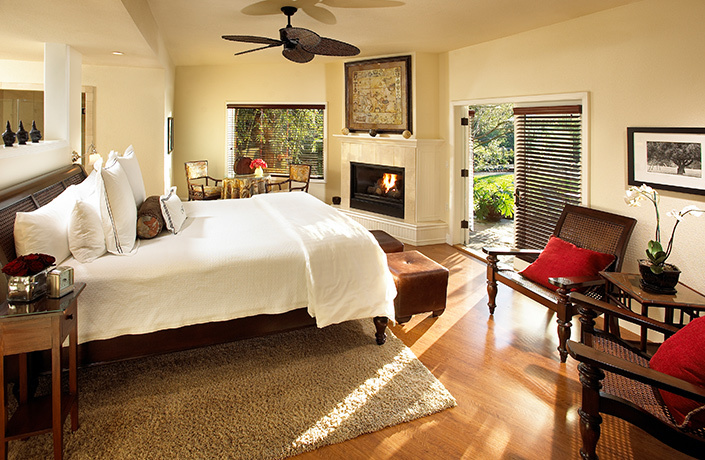 Thoughtful touches invite pampering and romance with flickering fireplaces, canopy beds with the finest linens, rain showers, and oversized hydrotherapy tubs, while our dedicated staff works tirelessly to provide world-class service in California Wine Country’s most recognized region. While the spa is undergoing renovations, we invite guests to enjoy a massage in the comfort of their guestroom. Please contact the inn directly to reserve a massage. 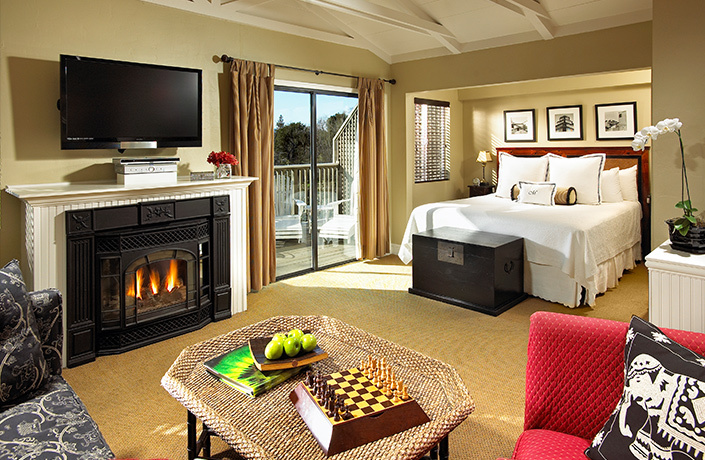 Oversized Luxury King Spa guestrooms feature the most expansive quarters of all room types and provide separate sitting areas that create a personal Napa hideaway unlike any other. Each luxury room is individually furnished and decorated with exotic accents. 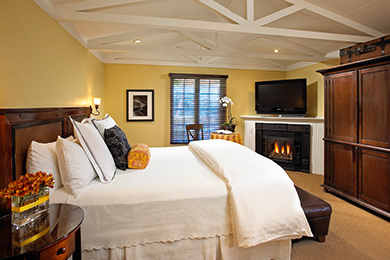 The luxurious Milliken guestrooms are located in the Main House and combine style, character, and exquisite attention to detail, for the most comfortable stay imaginable. These intimate quarters are individually furnished and decorated with exotic accents throughout. This was our second visit to Milliken Creek and I can't imagine a better place to stay when visiting Napa. 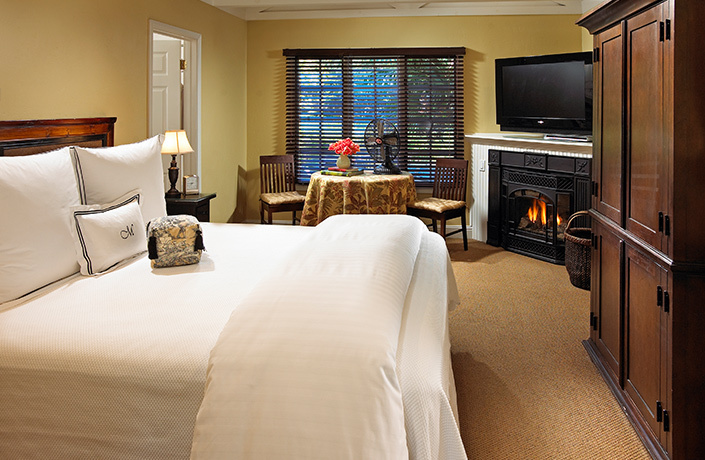 The luxury suites are beautifully appointed with a comfortable king bed, fireplace and spa-tub. Every detail makes for a romantic setting. Calm your mind, nourish your body and soothe your soul in our tranquil, therapeutic sanctuary. 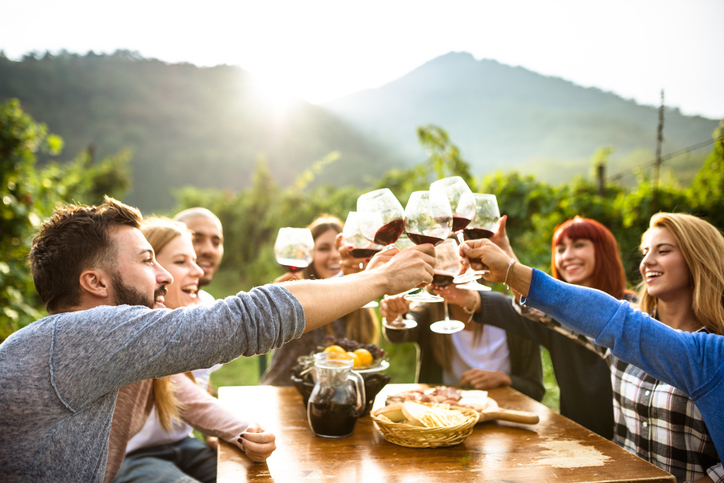 California's Napa Valley creates a beautifully dynamic region filled with some of the world's finest winemakers, restaurateurs and tastemakers. Venture forth and explore everything from the scenic Silverado Trail to the area's incomparable wineries, world-renowned restaurants, intriguing shops, plus countless events and activities. 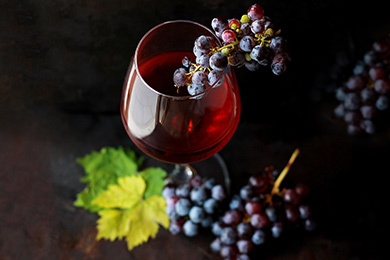 Visit California Wine Country’s most distinguished region for world-class wines and unforgettable experiences.